we are doomed to fewer and fewer birds migrating down. First it was the Greater Canadian geese, next it was the Mallard duck, and now all species are down. A wake up call has to go out to all La. hunters! teal are finally showing up in good numbers. The estimated 2.06 million ducks on this survey is a 41% increase over November’s estimate of 1.46 million, but is 15% lower than last December’s estimate of 2.42 million. It is 10% lower than the most recent 5-year December average of 2.30 million and 23% below the long-term average of 2.68 million. Despite the first freeze of year in Louisiana during Thanksgiving week, the weather along the Flyway since the November survey has been mild until recently. The coastal transects were flown just prior to the latest strong cold front, and additional migrants may have arrived. Except for pintails, estimates for all species were similar or higher than in November, with the biggest proportional increases seen for ring-necked ducks (31,000 to 294,000), scaup (24,000 to 156,000), mallards (17,000 to 81,000), and canvasbacks (zero to 57,000). The estimate for pintails fell from 303,000 to 219,000 despite a big increase at Catahoula Lake because of declines in both southwest (212,000 to 107,000) and southeast (13,000 to 4,000) portions of coastal Louisiana. Estimates for diving ducks (canvasbacks, scaup, and ring-necked ducks) are above long-term averages, but all dabbling ducks except shovelers are below their respective long-term average. Estimates of total ducks for all regions were higher than in November. At Catahoula Lake, the overall count was more than double the previous month (239,000 from 102,000) due to large increases in all species, especially canvasbacks and ring-necked ducks. Large concentrations of pintails were seen on the shallow- flooded southern and western edges of the lake. Similarly in southeast Louisiana, big increases in scaup and ringnecked ducks from the November survey accounted for most of the higher count in that region. 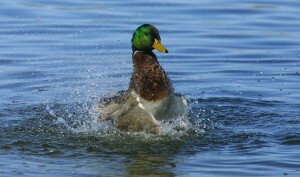 Large numbers of ducks were seen in the upper Terrebonne marshes and at the north end of Biloxi WMA. 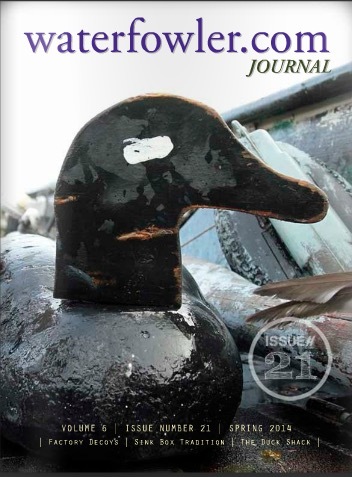 Big increases in diving ducks, mallards, and shovelers were seen in southwest Louisiana which accounted for the higher estimate in that region despite a 50% decline in pintails, which may have migrated through or redistributed to non-surveyed areas. Concentrations of ducks in southwest Louisiana were noted on the East Cove Unit of Cameron Prairie NWR, Lacassine NWR, and the west side of Rockefeller Refuge. Relative distribution of coastal ducks shifted slightly toward the southeast region because of a larger influx of diving ducks, but 66% of the ducks counted on coastal transects were still tallied in southwest Louisiana. In December and January, LDWF conducts a scaup survey on Lakes Maurepas, Pontchartrain, and Borgne, and this survey produced a record low estimate of only 301 scaup. This is the lowest estimate on these habitats since the post-hurricane Katrina survey estimates of 1,045 in December and 571 in January 2005/2006. The relationship between hurricanes Katrina in 2005 and Isaac in 2012 is speculative, but hunting reports include references to increased opportunity for scaup harvest. In addition, higher band recoveries for lesser scaup in Louisiana thus far this season, and estimates above long-term average for scaup on coastal transects indicate larger populations than represented from the scaup survey. The Northwest Louisiana survey has not been completed because of the longer first split of the waterfowl season in the new West Zone. It will be done next week. The need to recruit and train new observers for the Northeast Louisiana survey has delayed implementation of a transect-based survey in that region. The old cruise survey was conducted as it provides better training opportunity for aerial waterfowl species identification and estimation. It was completed late yesterday and counts are not yet available. As part of that survey, large concentrations of ducks were seen on Catahoula NWR adjacent to Catahoula Lake, and large numbers of ducks and geese were noted in flooded agricultural fields southeast of Bonita, just north of Oak Ridge, and around Grand Cote NWR. Habitat conditions remain good in southwest Louisiana marshes. Overall water levels remain similar in managed marshes but slightly lower in many areas since the November survey. However, less shallow- flooding in the agricultural regions was noted compared to both September and November. Habitat quality in southeast Louisiana marshes remains below-average with little SAV noted on survey transects in the eastern portion of that survey region. Habitat conditions from Bayou Lafourche west to the Atchafalaya Delta appeared good. Water level at Catahoula Lake remains near target levels and overall habitat conditions are good, but surrounding agricultural areas remain dry with below-average shallow-flooding on the landscape. The same was true of much of the northeast Louisiana agricultural landscape, where there was little beyond managed flooded habitat.